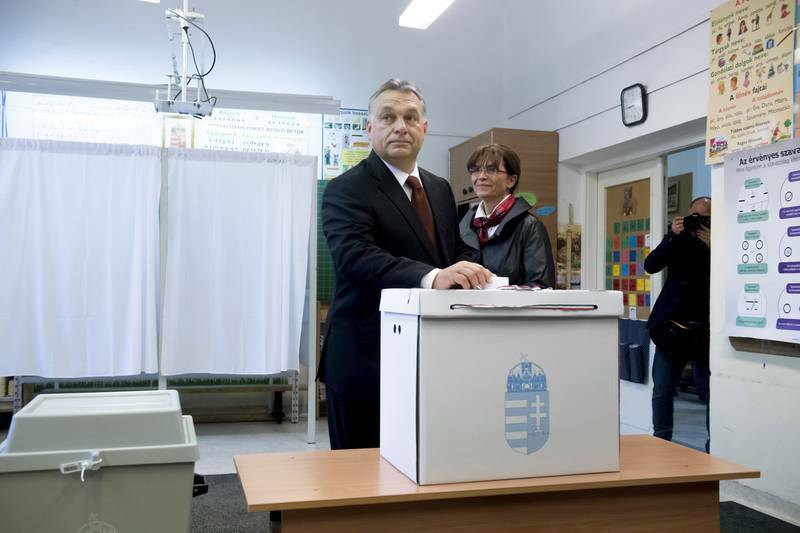 Who lost and who won in the Hungarian referendum on Sunday? A well developed democracy should be able to provide an unequivocal answer. Experience with the Brexit, however, shows that even in the most developed of democracies the answer is not always unequivocal, for there was reasonable suspicion of abuse of democracy. What would be the answer to this question then in a state, whose leader announced a turn towards illiberal democracy? The answer, which is perhaps difficult to be challenged, is that Hungarians lost a lot of money and Orbán won, for in his illiberal world political validity stands above the law. He organised a referendum, with which he wished to legitimise his resistance to European laws, agreed on following all the rules of the European Union, accepted by all member states, even by Hungary in a referendum on its membership in 2003. At the vote 13 years later, however, the stakes are much higher – the very survival of the EU, which is supported by its rules and their implementation. The Hungarian “no” has a much more devastating effect than the British “yes”, because Brits, although being lied to a little, are doing fair by themselves and their EU partners by deciding to leave the Union because they do not like its rules. 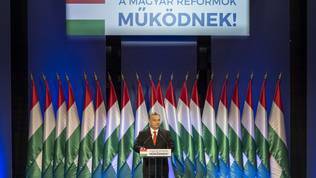 The Hungarian PM, however, attempted to place himself above European law with his referendum. And succeeded. Many analysts are already admitting that it is exactly him that now is setting the tone in the European Union and is shaping its policies. And perhaps its future system of values? The vote was held exactly a year after the Council accepted the European Commission’s proposal for mandatory quota relocation of refugees. There were many quarrels on this proposal, the discussion was difficult, but in the end the Council managed to get a majority of states to agree that at this stage this is the best solution for dealing with a problem, which everyone knew, but refused to publicly admit, will remain on the agenda for years to come. Despite having an unwritten rule in the Council, that all decisions should be accepted unanimously, this proved impossible a year ago. This is why the decision was made by a qualified majority. Hungary lost then, but did not give up the fight. Enforcing the decision was going slow anyway and PM Orbán was hoping that the British referendum might prompt more states into leaving the Union, thus forcing the Commission to withdraw its proposal, as it has done before in the face of strong resistance. It turned out, however, that no one wants to leave and the refugee problem continued to be number one on the EU’s agenda. Most member states agree that unilateral decisions do not help solving a problem, which concerns everyone. Viktor Orbán, however, is incapable of admitting defeat. His hope was that citizens will back him up. 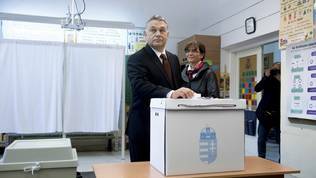 He put all his energy and harnessed the full resource of the state into the October 2nd referendum, whose question was “Do you want the European Union to be able to mandate the obligatory resettlement of non-Hungarian citizens into Hungary even without the approval of the National Assembly?”. Around 40 million euro of Hungarian taxpayers’ money were spent on the campaign and the PM and his government were learning from the textbook of Brexit supporters in Great Britain, who won the June 23rd referendum on the basis of untrue claims and instilling fear, which ended tragically for British MP Jo Cox, who was murdered a week before the vote. 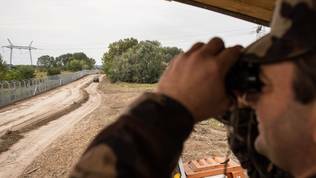 And in Hungary, also a week before the vote, there was an explosion in the centre of Budapest, which was initially interpreted as an attempt at scaring voters even more, although it did not get attributed to migrants. Authorities kept silent almost an entire day and kept journalists in the dark about exactly what happened at the explosion where two police officers were badly injured. In the day of the vote 50% of the 8 261 394 eligible voters had to go to the polling stations so that the result could be valid and allow the government to make an amendment to the Constitution, with which European law will be brought down to being inferior to the national one. 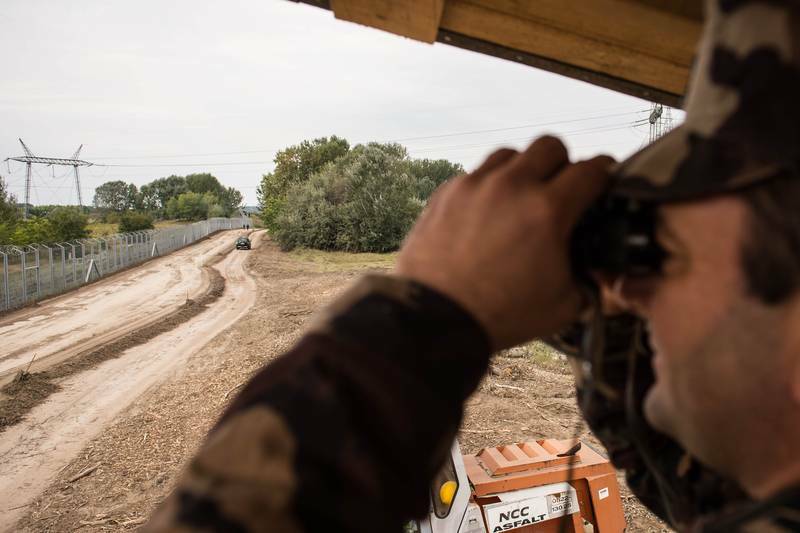 The Constitution will include the text that no EU decision for sending migrants to Hungary could happen without the Hungarian parliament’s consent. Less than 50% of Hungarian voters came out at the Sunday referendum however – 3 506 614 voters (43.91%). Thus the referendum was named invalid. As Szabolcs Vörös explains, Hungarians in general are not very active. Voter turnout was not particularly high at the accession referendum either. This time, however, the result is quite expensive as well. The Hungarian journalist says that the entire country was flooded with billboards, some of them right next to each other, spreading false statements at that. During the Olympic Games in Brazil there were advertisements every 10-15 minutes. 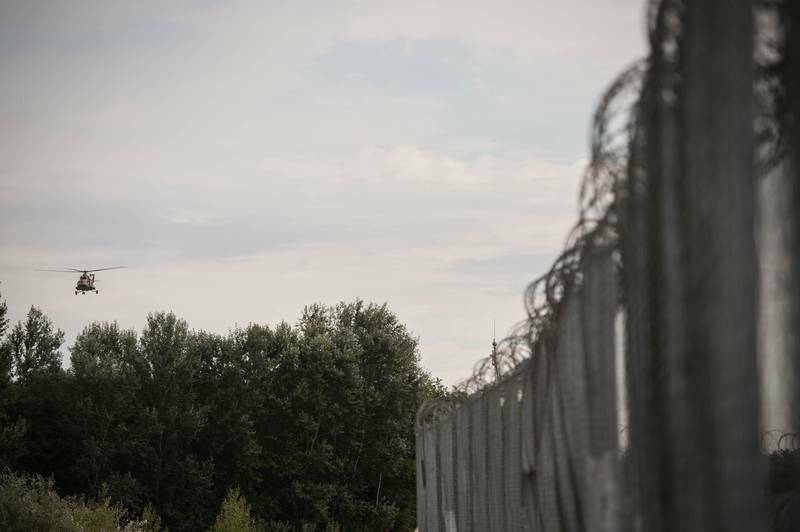 The government even scandalised the European community by financing the distribution of flyers, announcing which countries are unsafe to travel to because there are many migrants in them. Great Britain headed the list. Szabolcs Vörös said that the government overdid the campaign. The effect was further enhanced by the fact that there was no comparatively strong enough YES-campaign. The reason, according to Vörös, is that the opposition is fragmented. 4-5 parties are feuding with each other and are killing each other over 40-50% of the votes. Actually, nobody managed to find out who said what – whether they are for a yes, for boycotting, or invalid voting. Only the liberals had a “yes”-campaign, but this party is miniscule, said the journalist for euinside. The most popular campaign was of the humour party, named the Two-tailed Dog Party. The campaign advocated invalid voting with funny posters and billboards, making fun of the authorities’ claims. Szabolcs Vörös agrees with the claim that the Hungarians did not fall for the Hungarian PM’s bluff. Anyway, despite low voter turnout, 98.34% of those who voted supported Orbán, which allowed many analysts and politicians, like Nigel Farage, to declare the referendum actually successful. At this referendum there was an unprecedented growth of invalid ballots – by 400%. Usually, the Hungarian journalist explains, they are around 50 000, but on Sunday they counted 223 252, or 6.27% of all ballots. There were even photographs posted on the Internet of ballots, on which voters have expressed all of their creativity as a sign of protest. There were, however, some very legitimate questions on Twitter of why those who decided not to vote, or made their ballots invalid did not simply vote “yes”. Szabolcs Vörös explains that if you want to protest your government you either stay home, or you vote with an invalid ballot. He did admit, however, that it is difficult to say what part of those who did not vote protested, or were plain lazy, for electoral activity at referenda is traditionally low since the year 1990. Furthermore, he believes, the question was a trap. “Who can say “yes” to such a question?” Those who said “yes” were just 55 555 people, or 1.66%. The evening following the vote, when results and most of all voting activity were known, the Hungarian Prime Minister called a press conference, at which, however, only cameramen and photographers were invited. Journalists remained isolated, with no opportunity to ask questions. In his televised monologue, Viktor Orbán announced that, according to the law, the referendum might not be valid, but results have granted “political validity”, thus forcing the government to propose an amendment to the Constitution. The plan is for the bill to be introduced to Parliament on October 15th. The debate will be on October 17th, voting will be on November 8th, and a week later the amendment will come into force. The Hungarian PM assured that the referendum was not a vote against Europe. At the same time, however, he pointed out that the stakes were “Brussels or Budapest". Minister of State for Government Communication Bence Tuzson said on Hungarian TV on Monday that Brussels has to recognise the vote. 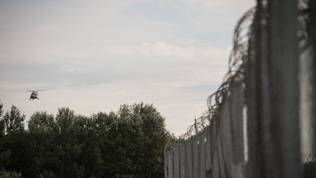 “Brussels must acknowledge that three million people have rejected mandatory quotas in Hungary.” Brussels laughed at the result. European Commission Chief Spokesperson Margaritis Schinas read out a special statement on Monday, which said: “If the referendum had been legally valid our comment would have been that we take note of it. Since it was declared legally void by the Hungarian electoral commission we can now say that we also take note of it. We respect the democratic will of the Hungarian people - both of those who voted and those who had not. 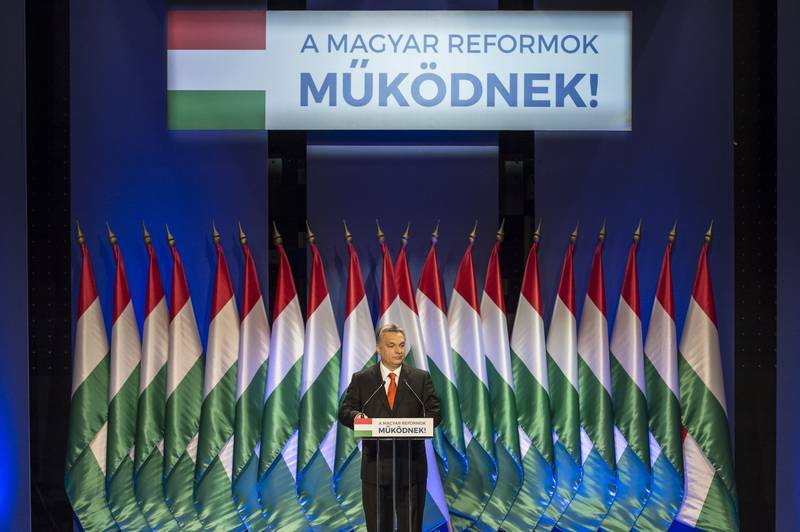 It is up to the Hungarian government how to deal with this national referendum.". The EC refuses to comment on the possibility that other member states could have referenda against European law, but there are precedents already and very recent at that. This year Dutch citizens were asked to vote at a referendum on the trade agreement with Ukraine. Voter turnout at this referendum was even lower than the Hungarian one – 32%, but the threshold was low and although by a hair’s breadth, the referendum was recognised as valid. 64% of voting Dutchmen denounced the agreement. And despite the Dutch one being a show of Euroscepticism, the Hungarian one has a much stronger effect on the Union itself, as it concerns it directly. The Dutch case is mainly about Ukraine. It is quite probable that the Hungarian one is just the beginning of a series of rebellions against the supremacy of European law, which seems incapable of dealing with the democratic deficit in some member states. And this is exactly what the main challenge, faced by the union, is. So far, it prospered and developed namely on the basis of the rule of law and common values. Twelve years after the big bang enlargement towards Eastern Europe this rule is already under question. Those who chose the illiberal path will continue trying to subdue European law, so that it yields to their national ones, or rather to their personal interests.